Nelda Phyllis (Taylor) Eddings was born March 29, 1941 in Chandler, Oklahoma to James Cleveland and Ella Francis (Stidham) Taylor. She passed away November 11, 2018 in Chandler at the age of 77. She attended school in Chandler for 11 years before moving and graduating from High School in Aztec, New Mexico. Phyllis and Warren were high school sweethearts. They were married on October 26, 1963 as soon as Warren returned home from serving in the military. Phyllis and Warren loved to travel. Some of their favorite places to travel were to the Grand Canyon, Wales, Mexican cruises, Bahamas, Yellowstone, Canada, France and Switzerland. She loved serving the Lord during her years at Assembly of God Churches in Chandler and Meeker. Her passion was truly to lead people to the Lord and she wanted everyone that she met to go to Heaven. 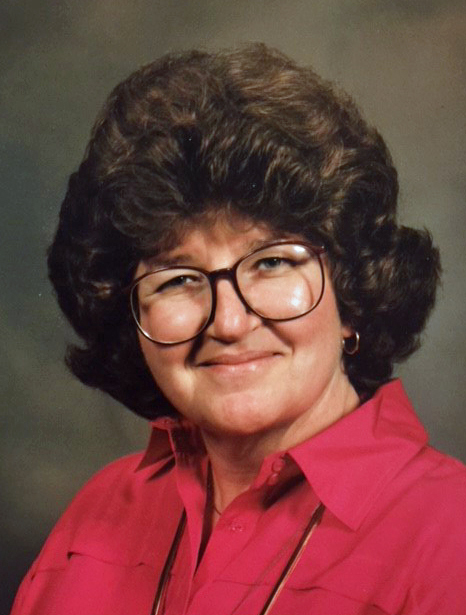 Phyllis spent many years working for Blakely Lumber in Davenport, Central Oklahoma Chrysler Dodge, and Alice Hedges. Her most prized job of all was being a wonderful Mom and Grammy and she will be dearly missed. Phyllis is preceded in death by her parents; (4) brothers and sisters, Robert H. Taylor, Laurel June Cron, James “Smokey” Taylor, and infant sister Reba Lou Taylor. Survivors include her husband of 55 years, Warren Allen Eddings of the home; daughters, Angela and her husband Tim Thompson of Norman, Lori and her husband Carl Randall of Chandler; (4) grandchildren, Leah Thompson, Abigail Thompson, Luke Randall, Rachel Pritchett and her husband Tyler of Prague; sister, Monette Messec of Dallas; sister-in-law Barbara Wyse of Chandler; along with numerous other family and friends. A memorial service will be held at 11:00 a.m. on Saturday, November 17, 2018 the First Assembly of God Church in Chandler with Reverend Kevin Martin officiating. Arrangements are under the direction of Lehman Funeral Home of Wellston.